MyFax is an online fax service provider that allows users to send and receive fax messages using their mobile devices. Its features include multiple sending of fax transmissions, activity reports, mobile app, fax number porting, and more. In this article, we cover user reviews and pricing. Ready to try MyFax? Get a free trial. As of the date this article was written (11/16/18), there are no up-to-date positive user reviews of MyFax online. If you are a past or current MyFax customer, leave a review to help other business owners who are deciding whether or not to use the software. Users who gave MyFax a negative review complained about the company’s poor quality of customer support. Many of them also had difficulties with resolving issues and canceling subscriptions. MyFax offers three subscription plans: Home Office User ($10/month), Small Business User ($20/month), and Power User ($40/month). The main difference between the plans is the number of fax transmissions. *Pages faxed (within the US) in excess of the allotted number of faxes costs $0.10 each. The Home Office User plan is available for an annual subscription of $139.90/year. Ready to try MyFax? Get a free trial. Best Online Fax Service — Free and Paid Options — An online fax service allows you to send and receive faxes from your computer or smartphone. In this guide, we compared three of the best online fax services to help you choose what works best for your business. Can users keep their existing fax numbers? Yes. MyFax enables users to port their existing fax numbers to the system, so they won’t need to change numbers just to use the service. Interested users are encouraged to contact their support team for more information about the terms and conditions. Is it possible to send multiple documents in one fax? Yes. 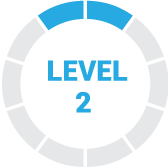 MyFax enables users to attach up to eight documents in one fax transmission. Not sure if MyFax is the right fit for you? 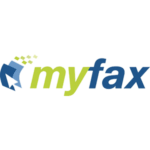 Read our reviews of all top online fax software providers or check out one of these three MyFax alternatives. The fax service does not work and they will not let you cancel. I have to now go through my credit card company’s fraud department. That it is not a legit company it is a scam. To stay away from MyFax at all costs. MyFax is so simple to use! Since we no longer have a in-house fax machine MyFax was a great addition to send faxes fast, easy and securely. I don’t even have to be in the office to send faxes, since all I need is internet connection to use. I’ve yet to find out. I wished I knew it existed. a review like this one. In my uploaded screen shot, it shows that I start requesting termination of service since 2017, and I’m still being charged as of today. Jeff the same exact thing happened to me. I am filing a claim with better business and encourage you to do the same.